We send out these quarterly updates to keep our church family informed of issues, decisions, and discussions that are before the elders. After a very thorough process that spanned an entire year, we are pleased to report that Rob Hodgson became an elder on Sunday, February 10, at midnight. A formal laying on of hands, as we see modelled in the New Testament, will be happening in May in our Sunday services. We are grateful to God for setting apart this godly man for this weighty responsibility in our Harvest family. Continue to pray for Rob as he assumes this role and for his wife Tammy and their three children, Emma, Gabby, and Joel. Since our last update, Terry Codling has assumed the new role of elder emeritus. This is an honourary position where Terry is fully recognized as an elder and functions as such as he is able. We are so grateful for Terry’s continued leadership in our Harvest family and for all the ways his godly influence is making an impact. And we’re thankful for Linda as she supports and blesses him in his role. After the first two months of the year, here’s where we stand on our two principal funds. Our staff and finance team are monitoring the shortfall and the giving to see if adjustments to the budget need to be made at the end of the first quarter (end of March). Please be faithful in your giving as we seek to fund the mission God has entrusted to us all. The campaign to pay off the construction of 7 George Street comes to an end in December of this year. Based on the pledges we received in 2016, at the start of the campaign, we should retire the loan in 2019. How amazing will that be?! It will take everyone fulfilling their commitments. As of March 17, $91,402 has been received in 2019 toward that goal. We have been unaffiliated since December 1, 2017, when the Harvest Bible Fellowship Canada board transitioned to become the Great Commission Collective. Since that time, we have been actively investigating various options for affiliation, but have not yet determined the best course of action for our church. This is obviously an important decision that impacts us for many years to come, and the elders have felt compelled to take our time before making our choice. Continue to pray for us in these deliberations. In light of the events at Harvest Chicago, the elders will be undertaking a comprehensive review of our vision, values, leadership and staffing structure, and approach to ministry. Of particular concern is an examination to see if any toxic leadership patterns are evident, if our governance is sound, and to confirm that our financial practices are completely above board. This examination, of necessity, must precede a decision on affiliation. Some of you have had questions about recent events at our founding church, Harvest Bible Chapel Chicago, including the termination of Pastor James MacDonald on February 11 of this year. As things have unfolded, we have been deeply saddened by these events and the many lives that have been negatively impacted. 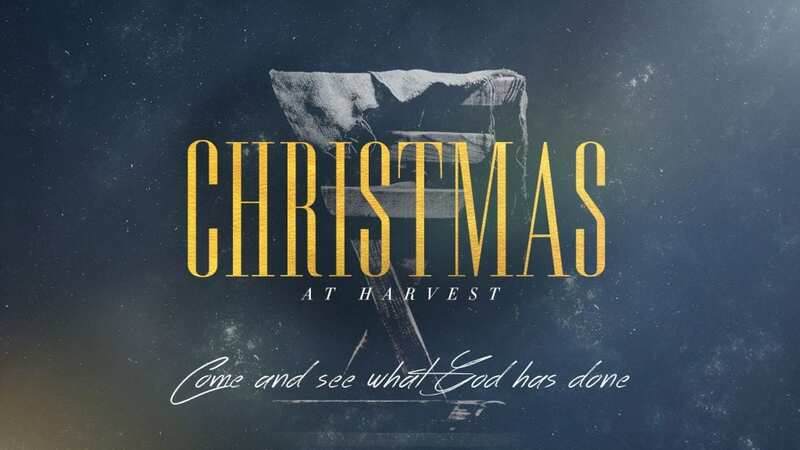 While we maintain many of the distinctives of our founding church and bear the same name, Harvest Bible Chapel Barrie is an independent, self-governed local church, which has been unaffiliated with any association of churches for almost a year and a half now. Our unaffiliated status came as a result of the dissolution of the Harvest Bible Fellowship in June 2017, and we published a statement to that effect on December 1 of that same year. So, while we continue to maintain relationships with some like-minded churches, we remain completely autonomous in our governance and finances. 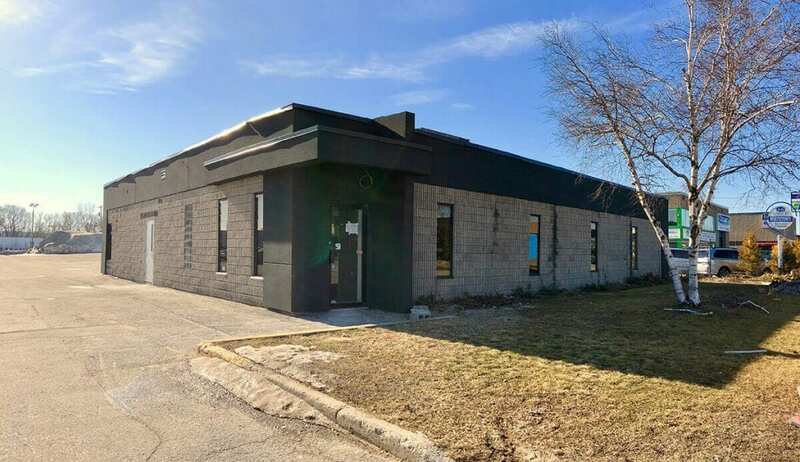 It should be said that we have benefitted greatly from the ministry of Harvest Bible Chapel Chicago and James MacDonald in the past, and we are grateful for what has been entrusted to us here in Barrie. Please join with us in praying for all who are involved as you would pray for any loved ones who are facing a severe crisis. Pray that God’s purposes would be accomplished and that he would be glorified in it all. With Pastor Todd completing his six-year odyssey in the Gospel of Luke in a few weeks, we have a completely blank slate in front of us for the coming ministry year. The elders are now in the process of helping him discern what we should be studying in God’s Word starting in September. Part of this process includes understanding where our church is at, and asking, “What do we need to hear from the Lord?” Maybe you have some ideas about that. We would welcome your input. 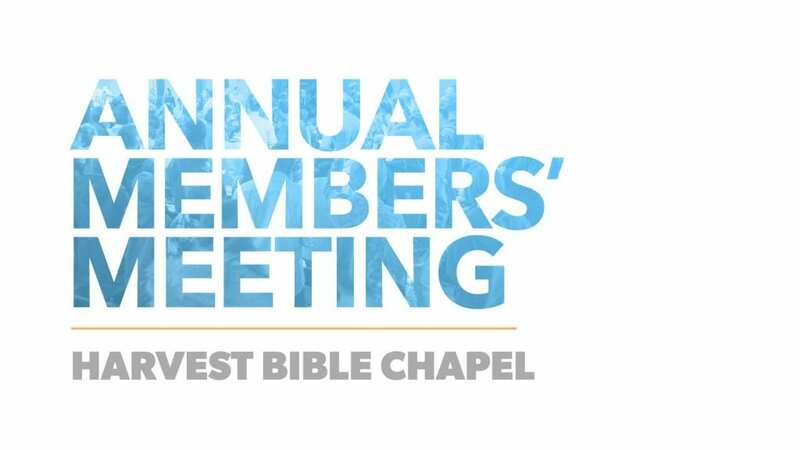 If you are a Harvest member, be sure to mark your calendar for Thursday, June 13, 2019, here at 7 George Street for our Annual Members Meeting. The elders (board of directors) will be presenting the 2018 financials as well as other reports about our church. This is a further opportunity for you as a member to come and ask questions about the ministry. As always, if you have any questions or comments, feel free to speak with one of our elders after a weekend service or send an email to elders@harvestbarrie.ca. We would be happy to interact about these or any other items. We count it a joy to serve the Lord with all of you at Harvest. On Sunday, November 18, Pastor Todd reviewed and renewed our Made for This campaign to pay off the construction loan for our 7 George Street facility. Our members and regular attendees received a letter and commitment card in the mail the week following, and we would encourage you to complete that and return it to the office before year end. You can also fill out the commitment card online. So far, about 20% of those who originally made a pledge have expressed their intent to fulfill their commitment. We would love to hear from everyone. We are excited about how this campaign has been going. Your faithfulness to fulfill your financial commitment is exemplary. We are so grateful for those who are giving without making a pledge, who have made a new pledge (currently 19 totalling $43,750), and those who have added to their original pledge (currently 9 totalling $14,520). Thank you for committing yourself to the mission in this way. 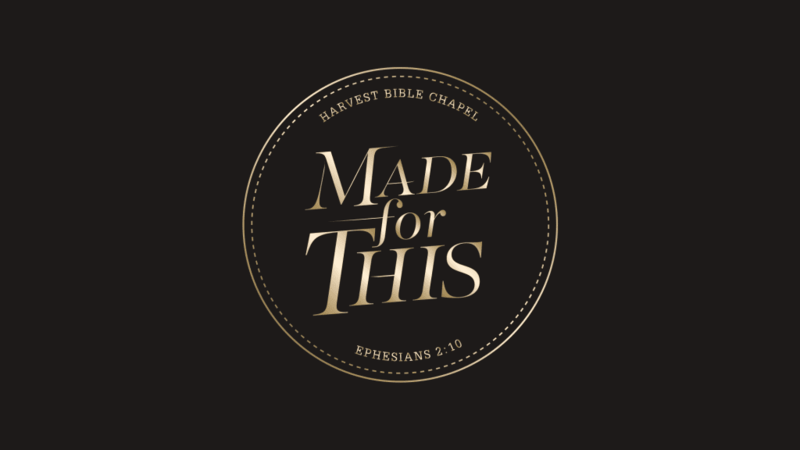 In addition to taking a few minutes to talk about the campaign, Pastor Todd preached a recap message of our Made for This: The 5G Christian series. If you missed that single message or want to access the whole five-part series from 2016, go to our campaign website. If you remember what you heard in our Harvest Essentials class (or any of the precursors to it over the years), you know that the elders have responsibility for the 3 Ds: the doctrine, direction, and discipline of the church. One of the tasks we are undertaking under the “doctrine” category is a review and revising of our doctrinal statement, which we inherited from the now defunct Harvest Bible Fellowship. In each of our meetings, we are using our time in the Word (which starts all elder meetings) to search the Scriptures and then discuss one of the statements. So far, we have updated our statements on the Word of God, the Triune God, God the Father, God the Son, God the Spirit, and Humanity. By spring, we will present our finished work to the church. This is important work that defines what we believe. We would ask you to pray for us in this task of guarding the deposit that has been entrusted to us (1 Timothy 6:20a). We want to encourage you to consider giving an end-of-year gift to help us finish strong in our operating fund. While we are grateful for offerings that have slightly exceeded what we received in 2017 at the same point, we were anticipating greater growth in operating fund giving and therefore have dealt with some budgetary pressures through the year. Our staff team has been responsible in this and has managed to keep expenses below revenues, but we are behind budget by about $74,000 with two weekends to go in this fiscal year. We have an opportunity before December 31 to help our church finish in a great place and meet the obligations we set out at the start of 2018. Your extra, end-of-year gift can be dropped off at the office (open until noon on December 24 and 8:30-5:00 on December 31), given on weekends through the offering bag or debit terminal at the Resource Centre, or anytime via online banking. Thanks in advance for your generous response. The elders approved the 2019 operating budget at our December meeting. We will share details of the budget at a family chat on Sunday, January 13 following the message. As always, we are seeking to be wise stewards of the resources that God entrusts to us as we pursue the mission together. As you may recall, we have had a trial elder sitting with the elders for the past several months. We are thrilled to tell you that this past week the elders approved this candidate for the 30-day vetting process before the entire church. We will announce his name and provide you with his testimony at the family chat on January 13. This step in the process allows you, the Harvest family, to affirm the elders’ choice of this individual. Continue to pray that God would lead us and this man and his family as the process unfolds. Our staff team is preparing what we know will be an amazing time of worship together for Christmas. Plan to be here on Sunday, December 23 at 4 or 6 p.m. or Monday, December 24 at 4 or 6 p.m. for any one of the four identical services. Please let us know which service you plan on attending so we can ensure seating for everyone. There is children’s programming in all four services up to grade 3. Don’t forget that there will be no morning services on December 23. As always, if you have any questions or comments, feel free to speak with one of our elders after a weekend service or send an email to elders@harvestbarrie.ca. We would be happy to interact about these or any other items. We count it a joy to serve the Lord with all of you at Harvest. It is a privilege to serve our great Harvest family as elders (in the biblical sense) and as directors of the board/corporation (in the legal sense). In our governance model, which is rooted in Ephesians 4:11-12, the elders protect the vision, values, and doctrine of the church, while the staff leads and all of the members serve (elders and staff are also members). Our heart is to keep all of our members informed about elder-related matters and to solicit input and questions. We are grateful for what God is doing in and through our church in these exciting days. We have officially passed the 52-week mark here at 7 George Street. One year into this fantastic facility, and we continue to recognize “what God has done” in our midst. So grateful for the dedication stone at the south entrance to acknowledge the Lord’s work among us! We also installed a bronze plaque at the north (Harvest Kids) entrance to recognize the 40+ years that the Army Navy Air Force Club was located here. With eight months of this year behind us, we thank God for his ongoing financial provision. We are still running somewhat behind in giving to our operating budget, but our staff team has been careful to hold the line on expenses, and so our actual year-to-date shortfall is relatively small. We are just now entering what is historically our strongest giving period of the year (September–December), and we are trusting God to help us make up some ground and finish 2018 in the black—or better yet with a surplus. Our needs continue to increase as our church grows, and new opportunities for ministry abound, so please remain faithful in your giving to the Lord, both to our operating budget and to our Made for This building campaign. If you are newer to Harvest and have not begun to invest financially, we would invite you to join with us in seeing God’s work advance in our city and beyond. You can explore various giving methods on our website, with the most consistent and convenient way being our pre-authorized offering plan. If you have any questions, please contact Wendy Brouwer, our finance director. If you were here on August 5 or watched the family chat on video, you know that Pastor Todd announced we will not be re-starting Saturday Church this fall. We know this is a disappointment to some. Our staff team is going to focus on the Sunday services for the next while, and if growth dictates a need for another service, we will determine at that time whether or not a return to Saturday Church is the best option. For the past several months we have been working with a candidate to become an elder. We are several steps into the process, and the candidate is now in the trial elder phase. He is sitting with the elders and participating in meetings for the next few months. At any point along the way, either the elders or the candidate could decide to shut the process down. Pray for God to continue to give us clarity concerning his will. If all goes well, we hope to announce his name to the church in the new year. In addition, it is good to have Dave MacDonald back on the board after a year off. Dave has been serving as an elder since 2010. Terry Codling has been an elder since 2009 and is on his one-year break now. We are excited about our global partnerships and doing our part to take the good news to the ends of the earth. 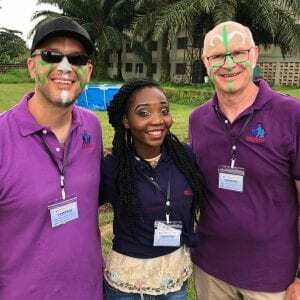 Terry Codling and Pastor Dan travelled to Africa this month to observe the work at the Children of Promise orphanage in Ibadan, Nigeria and to visit and encourage our three church plants in Cameroon. They will be giving a full report to the church on November 4. One of our stated vision initiatives is to launch campuses of Harvest Barrie in multiple locations throughout Simcoe County, and we have identified Alliston as the first one. God willing, we are striving to see a vibrant worshipping community there no later than fall 2020. Last week we held a prayer night in the Gibson Centre with a solid expression of initial interest from folks in that area. It was so encouraging to hear people cry out to the Lord on behalf of their community. Continue to pray as we seek to multiply our one current small group in Alliston and lay the groundwork for the future. Our staff team is preparing for our fall launch this coming Sunday, September 9. After a great summer sabbathing, this is always an amazing weekend to regather and refocus for the coming ministry year. We have so much ahead of us, and we believe it is going to be an amazing year of lifting high and serving Jesus Christ. Make sure you are at church in one of our two services. As always, if you have any questions or comments, feel free to speak with one of our elders after a weekend service or send an email to elders@harvestbarrie.ca. We would be happy to interact about these or any other items. It is our privilege to serve the Lord together at Harvest. Obviously, $100,000 is a lot of money to cut, and our goal in doing so was to hinder current ministry as little as possible. We got this done by cutting $65,000 earmarked for our own church planting initiatives, which pushes our plan for a campus in Alliston further into the future, likely into 2020. The other $35,000 came from a variety of budget areas, including us holding off on some planned part-time staff help. We aren’t thrilled to have to do this, but we are seeking to be responsible stewards with what the Lord has entrusted to us. According to the finance team, the next round of cuts—if necessary—would be much more difficult, requiring painful decisions impacting current ministry and staffing levels. What this means is, we really need to meet, or God willing exceed, this amended budget of $1.5 million, which translates to weekly general fund giving of $29,255. Last week you should have received via email your donation statement for January through April, and we hope you will take some time to review that and carefully consider your part in the mission to which Jesus has called us. You can explore various giving methods on our website, with the most consistent and convenient way being our pre-authorized offering plan. If you have any questions, please contact Wendy Brouwer, our finance director. Just a brief word on our Made for This campaign. For those who are newer, this is our giving initiative to fund the renovations of the facilities that we now enjoy at 7 George Street. In an amazing outpouring of generosity and faith, our church family committed to give $3.2 million over three years on top of our general fund offerings. Thank you for being faithful to those pledges you made. We are trusting that, by the end of 2019, all of the commitments will be fulfilled, and we will have paid off our construction loan and be left with just a mortgage. Next month we will be sending out an update to each of you who made a commitment, showing where your giving is relative to your pledge at the halfway mark of the campaign. If you have come to Harvest since our Made for This campaign, or did not participate initially, we would love to have you join with us in this undertaking. 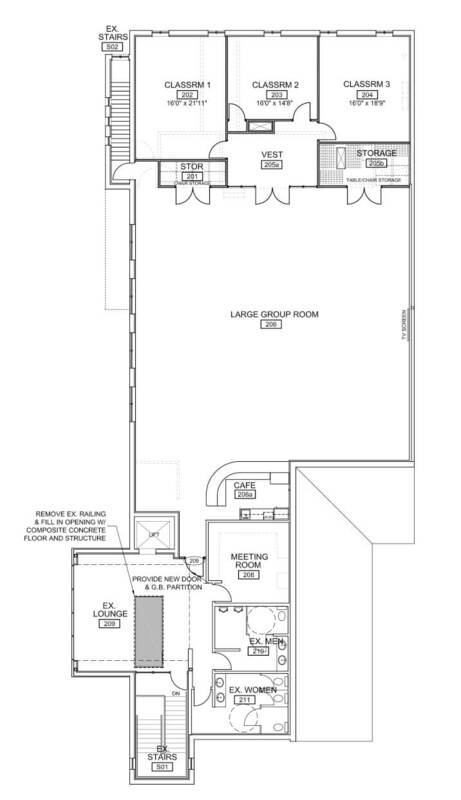 The second floor and several smaller projects remain unfunded at this time. Go to our Made for This website for more information about how to get involved financially. It has been a tremendous blessing to use these amazing facilities over the past nine months! Just a few weeks ago, our staff was able to move out of the second floor and into the newly-renovated office space across the parking lot. There are a few finishing touches still to happen to the interior and exterior, but the place is fully functional and greatly appreciated by our team. Watch for an announcement about an open house opportunity for you to come and see it firsthand. As for the second floor in the main building, it is now being used as-is with that wonderful 1990s vibe: mirrored ceilings and walls, groovy carpet, tiled dance floor, and “crystal” chandeliers. Harvest Youth has already had several events upstairs, and our recent worship and prayer night was there as well. 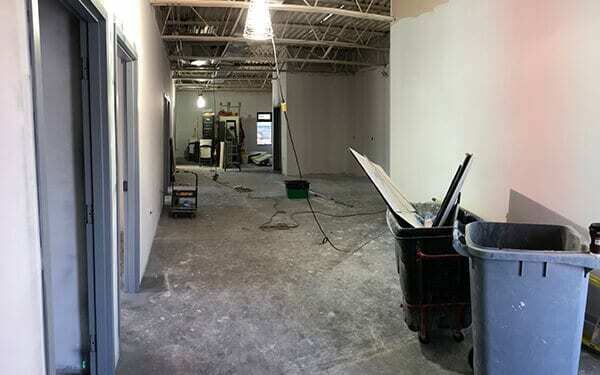 While we have finalized design plans for this space, currently we do not have the funds to proceed, so we will use it like it is until we are able to raise the money to renovate it. 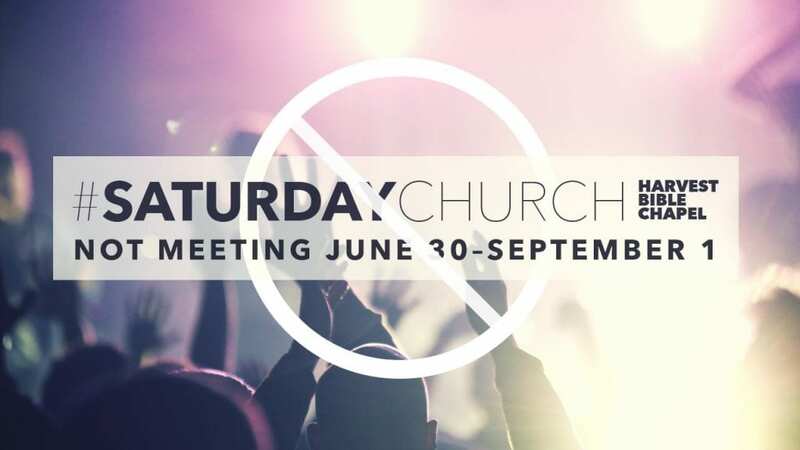 If you were here last weekend, you heard Pastor Todd announce that we will be taking a break from Saturday Church for ten Saturdays from June 30 through September 1. We are doing this primarily because recruiting to fill our serving teams has proven to be a significant challenge as we plan for this summer and seek to deliver high-impact Saturday services. We are grateful for our many committed volunteers who sacrifice much for the mission and see this as an opportunity for additional rest and refreshment for them. So, we are experimenting by pausing Saturday Church from the Canada Day long weekend through the Labour Day long weekend. We are planning to return to Saturday Church on our ministry launch weekend of September 8-9. A twelve-message study of the Book of Daniel. We will examine it chronologically, inserting the apocalyptic visions and dreams from chapters 7-12 into the narrative sections of chapters 1-6 when they were given to Daniel. A short Christmas series looking at what the Bible says about angels, the incarnation, and human beings. We will study what the Bible says about contemporary issues like tobacco, alcohol, and marijuana use; the LGBTQ question; sexuality and cohabitation; as well as abortion and euthanasia. The final three chapters of this great series will be wrapped around Easter weekend. You are going to want to be in the house on the weekend of May 4-5, 2019 when we finally finish this epic journey through Luke! The idea and title for this family series came from a recent sermon on the Zacchaeus story. In eight messages we will explore: Necessary Attitudes; How to Talk to Each Other; Relationships 1: Marriage; Relationships 2: Kids; Relationships 3: Everyone Else; Essential Priorities; Handling Money; and When It Is Really, Badly Broken. We let you know in our last elder update that we were working with a candidate to become an elder. We are happy to say that the process is moving forward, and we are currently in the interview phase. Continue to pray as we seek God’s favour in this. Our hope is to present this candidate to the congregation sometime in late fall. Pastor Todd and our elder board chair, Peter Millard, have been investigating various options for affiliation over the past several months. In June a report will be made to the elder board with respect to their findings. We do not expect that a recommendation will be made at this time other than to continue to remain unaffiliated through the end of 2018. The elders appreciate your ongoing prayers for the Lord’s guidance as we consider the various options in front of us. In the meantime, we are continuing to partner with like-minded churches on youth and men’s initiatives. 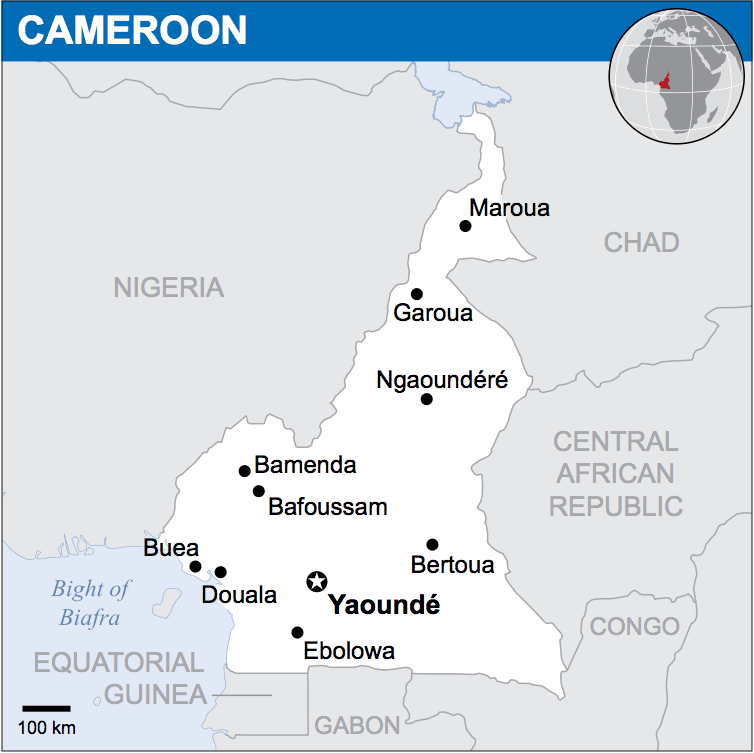 We love what God is doing in Cameroon in West-Central Africa! We have three growing churches in this French-English speaking country. Our global coordinator, Terry Codling, will be making his eighth trip there from August 2-28 to train leaders, assess planters, encourage the churches, and move them along in their effort to form a new formal fellowship of churches in that country. He will spend the first few days visiting the Children of Promise Orphanage in the neighbouring country of Nigeria, founded by Harvest Barrie members Dayo and Tinu Idowu. Pastor Dan will be joining Terry overseas for the last two weeks of the trip. Pray for God’s work to be done through Terry and Dan. Check out the video from our Annual Members’ Meeting where we enjoyed food, fun, and worship, and saw how God has been at work in our church over this past year. We continue to rejoice in God’s graciousness to our church. We join with the psalmist in declaring, “For the Lord is good; his steadfast love endures forever, and his faithfulness to all generations” (Psalm 100:5). If you happened to miss Pastor Todd’s important “State of the Church” message on January 6-7, please take time to watch or listen to it now. This talk sets the tone for this year and casts vision for our ministry both in Simcoe County and around the world. Our weekly need is $31,178 to carry out the ministry God has put before us. Offerings have been much stronger in February than in January, and it is still early in the year, but our finance team is keeping a close watch on the trend. We will take note of where things stand after Easter weekend, which marks the end of our first quarter. We are trusting God to meet our financial needs in this year of stretching, just as he has been faithful to do in the past. Thanks to those who are already generously supporting the ministry and to those who have stepped up in recent weeks. If you are part of our Harvest family and haven’t already done so, please prayerfully consider what God would have you do. The most consistent and convenient way to give is through our pre-authorized offering plan, but there are several other giving methods as well. First, join us for an evening of worship and prayer on Thursday, March 1 (yes, tomorrow) oriented around Jesus’ finished work. Second, that same day we will begin a 32-day social media journey, taking us through Easter Sunday on April 1, with brief biblical reflections to help us centre our hearts on Christ. Watch Instagram, Facebook, and Twitter for that. Third, on Tuesday, March 20 we will be hosting an event called My Jesus, a dramatic monologue wrapped in worship music presenting the story of the cross from the perspective of John the beloved disciple. Fourth, plan to attend one of our two identical Good Friday services at 9 or 11 a.m. on March 30. These will be sober times of remembering Christ’s sacrifice on the cross. 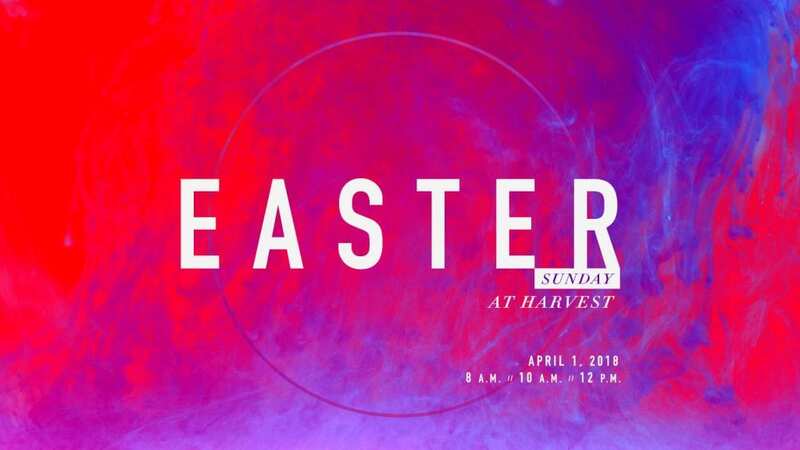 Finally, don’t miss one of our three identical Easter Sunday services at 8 a.m., 10 a.m., or 12 noon on April 1. (Yes, this isn’t a joke—Easter is on April Fools’ Day this year. And please note, for that weekend only there is no Saturday Church, and our Sunday service times have changed.) As always, we look forward to celebrating with much energy and excitement that Jesus is alive! Because we anticipate a record-breaking crowd, much like Christmas Eve, we are again asking you to reserve your seats for a specific service time so we can ensure everyone has a place. We trust that all of this will help you prepare your heart to exalt our crucified Saviour and risen Lord! The renovations in our office building across the parking lot are coming along well. 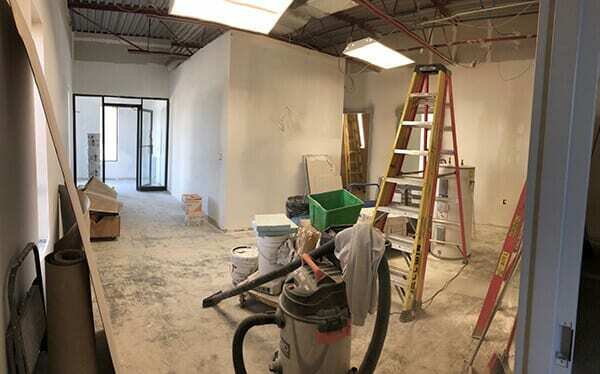 The electrical, HVAC, plumbing, framing, and dry-walling work are essentially done, in addition to the exterior stucco to match our main building. What remains to be done now are the finishes: paint, carpet, floor and bathroom tiles, ceilings, lights, millwork, and furniture. The target date for moving in is mid-March, and our staff team can’t wait! Thank you for your continued giving to our Made for This campaign, which is fully funding these renovations. We live in a secular culture that has all but abandoned the concept of biblical marriage. The role of the church in this area is to continue to proclaim God’s perspective on marriage and exhort believers to put these teachings into practice. After all, marriage is God’s idea! At the same time, we recognize that sin, brokenness, and divorce have impacted many marriages both inside and outside the church. Here at Harvest, we want to remain true to biblical principles and also encourage hurting people. To help us navigate these crucial and often-complex issues moving forward, the elders have drafted a policy statement. This comes after a season of studying the relevant Scriptures, followed by much discussion and prayer. We are committed to a plurality of elders, recognizing the safety and wisdom in multiple godly leaders (see Proverbs 11:14 and 15:22). There are currently six men serving on the board at Harvest, with one additional elder on a scheduled year off. The board consists of two vocational/paid elders (pastors) and four non-vocational/unpaid elders. Given the growth of our church family and our desire to raise up new leaders for both the present and the future, the elders are seeking God’s direction in adding another non-vocational elder to the board. An individual in the congregation has been approached and has agreed to begin the formal process of potentially becoming an elder. As you may know, this is an extended, in-depth process that may take up to a year to complete. We will keep you posted. Please be much in prayer for God’s clarity in all of this. As we announced earlier this month, the elders have come alongside Pastor Todd and Cheryl and encouraged them to take some extended time off from ministry. Pastor Todd was depleted from several years of intense activity in the church and needed some well-deserved rest. 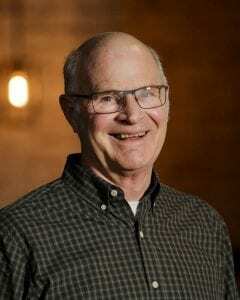 He will be returning to the office on March 13 and getting back into The Gospel of Luke series the following weekend. Please continue to pray for our lead pastor and his wife. We are confident he will be spiritually refreshed and ready to go when he returns next month. Watch for your next quarterly elders’ update at the end of May. As always, if you have questions or input for the elders, feel free to contact us at elders@harvestbarrie.ca. The months of October and November are budget time around Harvest. Our staff team begins the process by preparing individual ministry budgets to support both current and future initiatives. These proposals are compiled and evaluated (and often reduced ☺) by Pastor Dan and Wendy Brouwer, our Finance Director. The full budget is then carefully considered (and amended as necessary) by our finance team, which is made up of a couple staff members and several people from our church (including John Kurvink, our treasurer) who have financial and ministry expertise. Finally, this budget is reviewed and ultimately approved by our full elder board. We will share more details in our “State of the Church” message on January 6-7, but for now, just buckle your seatbelt. After stretching in our 2017 budget with the move to 7 George Street—and watching God provide all that and more YTD!—we are anticipating another significant jump in 2018 as we continue to adjust to our new reality. Part of the 2018 budget increase is to fund several very part-time additions to our staff team. As our church is in a season of tremendous growth (see below), we have identified a few departments that require bolstering in order to minister effectively to our people and facilitate continued momentum. We are hoping to add a children’s assistant, a production director, a connections assistant, and additional creative support. Watch for more details from the staff team on these new positions in the coming weeks. For your encouragement and not for you to brag about (God gives the increase! ), we have seen a 24% surge in weekend worship attendance year over year. Last year, in the 13 weeks from August through November, we saw an average of 763 people each weekend, and in 2017, since moving into 7 George Street, we are now seeing an average of 943 each weekend. We have had 221 guest units (individuals, couples, or families) during those 13 weeks. Our best guess at the total number of guests (including children) in that time period is around 500 individuals. Truly incredible! And the three Essentials classes that our staff has held since moving in have been packed with newcomers looking to join with us here at Harvest. We are grateful to God for entrusting all of this to us. Pray for our staff team as they manage the growth while still getting used to the facility. In July Pastor Todd shared a statement from the elders during a family chat that we were no longer affiliated with Harvest Bible Chapel Chicago and Pastor James MacDonald. At that time, the U.S.-based Harvest Bible Fellowship ceased to exist, and in effect, all HBF churches outside of Canada were unaffiliated. While we are no longer in a formal association with Harvest Chicago, we continue to be appreciative of all that Pastor James and the church have done to bless us and help us over these 16 years. We were a church plant of Harvest Chicago in 2001, and we happily bear the DNA of our mother church. Our name, four pillars, three Ws, elder governance model, complementarianism, and vertical approach to ministry are just some of the distinctives that we gained from them and intend to retain. Since the summer, Harvest Bible Fellowship Canada (distinct from HBF in the U.S.) has made the decision to transition to become the Canadian region of a new entity known as the Great Commission Collective. 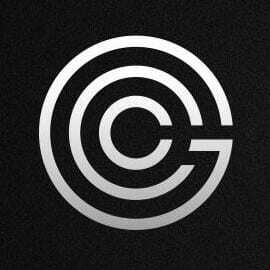 The GCC is based in the U.S. and made up of some of the former Harvest Bible Fellowship churches around the world. At this point, our elders have not sensed the Lord leading us to join this new entity. Of the 17 Harvests in Canada, as we understand it, four have chosen not to join the GCC at this time. I know this raises questions for some. We would be happy to answer questions that we can answer. The reasons for all of this upset with HBF and our pause on joining GCC are complex and subject to interpretation based on varying perspectives. It is not helpful to engage in speculative conversations about how this all happened. Sadly, it has happened, and as elders we are left to lead our church forward in the best way possible. We would appreciate your continued prayers in this matter. While all of that is going on in the background, ministry here just keeps on happening! Please be as generous as you can be this Christmas. Many people live on the margins, and Jesus loved such people. 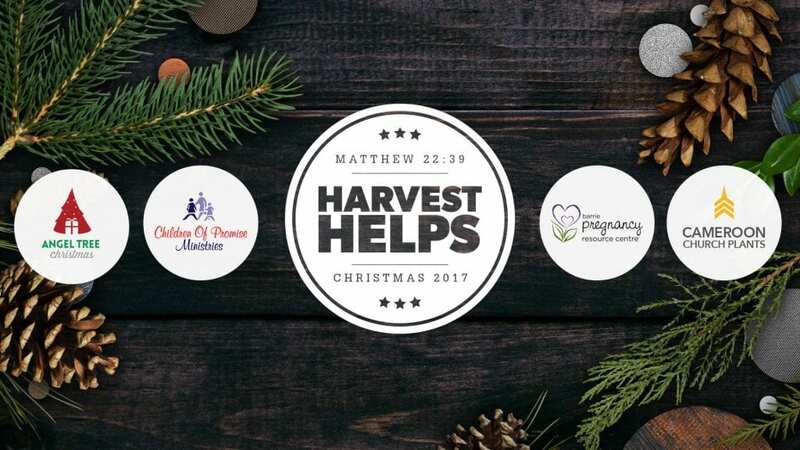 Your gifts to the Pregnancy Resource Centre, Children of Promise Orphanage, Prison Fellowship’s Angel Tree, and our church plants in Cameroon will make an impact in the lives of people who are in a tough place. Jesus says that when we help like this, we are doing it as unto him. Love God, Love People is on the wall of our west lobby. Let it be written in our hearts, too. It has been one year since that epic weekend when Pastor Todd announced the commitment total for our Made for This campaign. It is remarkable to see all that God has done in these twelve months. If you pledged for 2017, please fulfill your commitment by December 31 and help us toward the retirement of the construction loan. If you did not make a commitment or are new to Harvest since all of this happened, we would invite you to join us on this amazing journey. Check out madeforthis.church for information about the campaign and how you can be involved. We would also invite you to make a special end-of-year donation to move us even further down the road of paying off the construction, as well as reaching for some new projects and plans we are working on and thinking about. As of the date of this update, the work on 7A is not progressing as we would like since our permit is being held up in the zoning department. We have not asked for rezoning, nor do we need rezoning, to put offices there, so we are a bit confused by this. We are still hoping to have our staff in their new (and more permanent) offices early in 2018. Please pray for the permit to be issued and the work to be done quickly. If you have questions about anything you have read here, or anything else that you would like to bring to the elders, contact us at elders@harvestbarrie.ca. With the first floor and exterior renovations essentially completed (phase 1), we are now turning our attention to the two remaining and much smaller projects: renovating 7A for staff offices (phase 2 adds 3,300 square feet of space) and renovating the second floor of 7 George Street for additional ministry use (phase 3 adds approximately 5,000 square feet of space). The ANAF will move out of 7A by September 15, and we plan to begin renovations shortly thereafter. 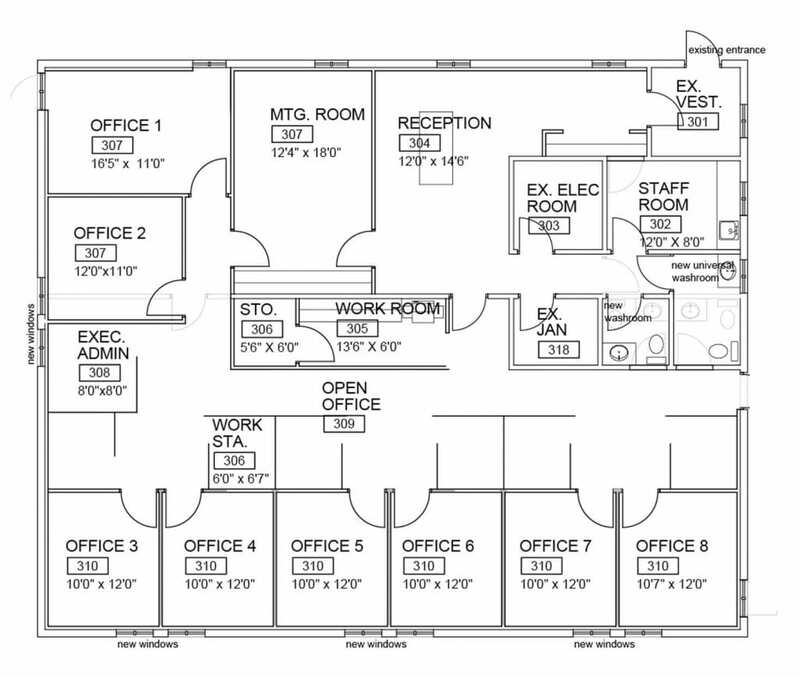 We hope to move our staff into the new office building by the end of this year and then begin work on the second floor early in 2018. We had a heart to launch a new effort to more intentionally reach and disciple men. The pastoral team has recently put together a new men’s initiative that we think will ramp this up. 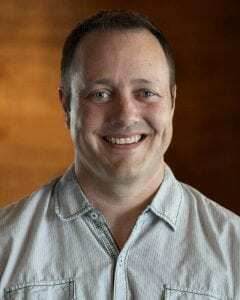 In cooperation with Harvest Muskoka, Pastor Dwayne will be leading the charge with a number of special worship and teaching events over the course of this ministry year, capped off with a spring retreat in Muskoka. Details will be coming soon. We have been so blessed by the series Out of the Depths: Praying the Psalms over this summer. We know that many of you were impacted by the messages, as well as the extra study materials and reading plan and Scripture memory project. We are so grateful for all of the preachers who contributed to this series. Pray for the Holy Spirit to use the proclamation of God’s Word to transform us into the image of Christ week by week here at Harvest. We are privileged to lead Harvest’s church planting efforts in Cameroon, west-central Africa. Terry Codling, one of our elders and our global ministries coordinator, was able to be in Cameroon again this past spring to train leaders, commission a new senior pastor, and assist with planning for the planting of a new church in the capital city of Yaounde. Terry will be back in Cameroon for the official launch of that church on October 1. Continue to pray for God to open many more doors for ministry in this country, for core groups to be raised up, and for church planters to be trained and commissioned. 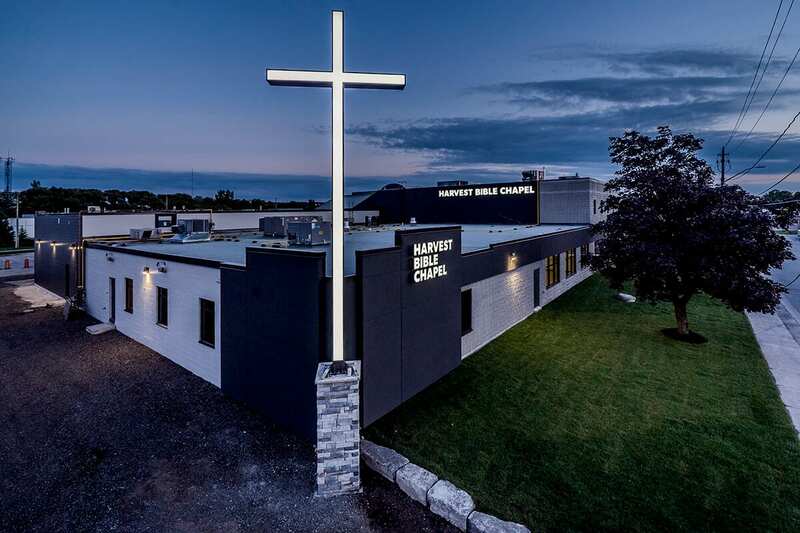 A few weeks ago, Pastor Todd announced in the weekend services that Harvest Bible Chapel Barrie and Harvest Bible Fellowship Canada are no longer affiliated with Pastor James MacDonald and Harvest Bible Chapel Chicago. A new church planting organization, the Great Commission Collective, has been formed in the U.S., and Pastor Todd and our elder chair, Peter Millard, will participate in the inaugural meeting of this new initiative at the end of September. Our general fund giving has been incredibly strong in a year where our expenses have increased almost 15% due primarily to owning and operating 7 George Street. Thank you for your faithfulness. We were obviously overwhelmed with last year’s commitment to the Made for This campaign. God moved in your hearts, and you responded in an extraordinary way. And to date, you are meeting your commitments ahead of schedule, which has enabled us to borrow money at a slower rate than anticipated. Along the way, we told you that an additional pledge of $200,000 from a group of Christian businessmen was made. That money has now been received and has helped to fund the cross feature, additional audio-visual-lighting elements, and furniture throughout the building. It is our joy to tell you that another gift of $180,000 has been pledged ($120,000 of it has been received thus far). A portion of this extra gift was designated to do landscaping and parking lot work that we had wanted to do but did not have in the budget. The money will also allow us to get started on phase 2 (7A office renovations) sooner than we had expected. God has been so good and generous to us through his people! For those who attended the Annual General Meeting in June, you will know that we recently appointed John Kurvink as our treasurer. 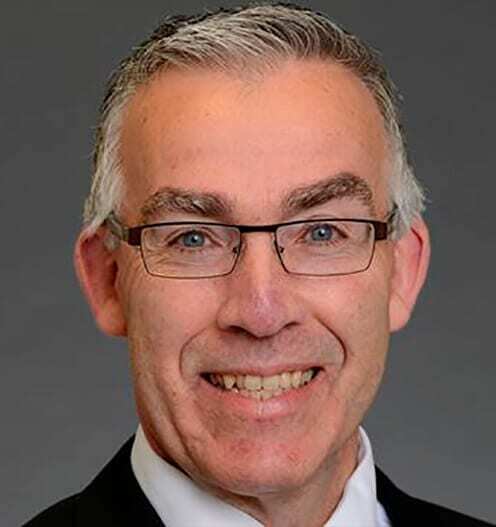 John is a member here at Harvest, is a Certified Professional Accountant (CPA), and holds the position of Vice President of Corporate Affairs & Chief Financial Officer at the Brant Community Healthcare System in Brantford. His role as treasurer at Harvest is as an internal auditor and advisor to the elders regarding our finances. We are grateful to have such a qualified servant of Christ giving oversight to this critical area of our ministry. Get more information about our financial practices by going to our giving page. Watch for your next quarterly elders’ update at the end of November. As always, if you have questions or input for the elders, email us at elders@harvestbarrie.ca.